"As I think of temples, my thoughts turn to the many blessings we receive therein. As we enter through the doors of the temple, we leave behind us the distractions and confusion of the world. Inside this sacred sanctuary, we find beauty and order. There is rest for our souls and a respite from the cares of our lives. "In our lives we will have temptations; we will have trials and challenges. 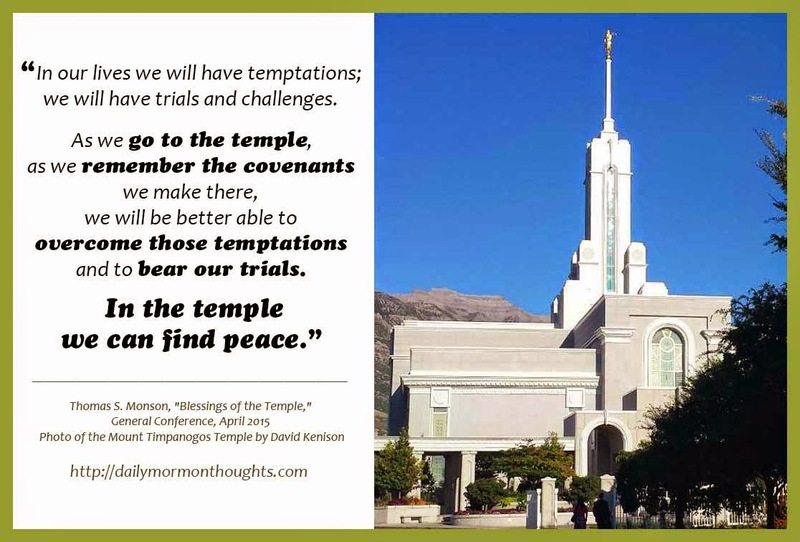 As we go to the temple, as we remember the covenants we make there, we will be better able to overcome those temptations and to bear our trials. In the temple we can find peace." 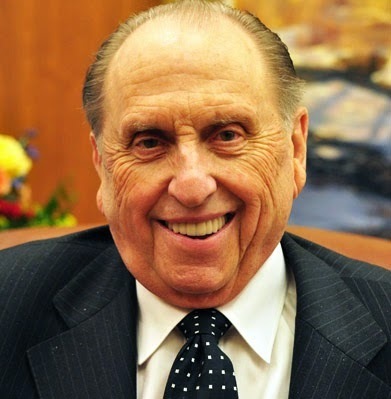 President Monson is continuing the great work of building temples and teaching about their importance, established by his predecessor, President Gordon B. Hinckley. 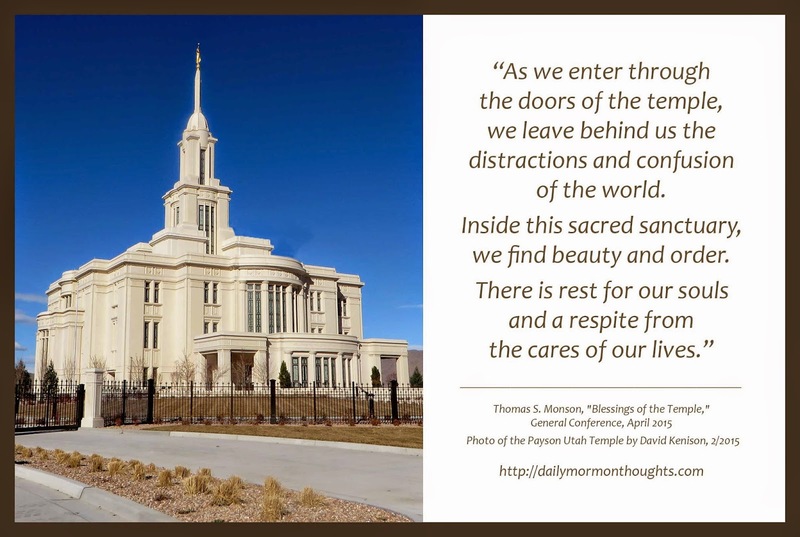 In the most recent general conference, he shared these beautiful thoughts as part of a talk about the blessings that come from service and worship in the temples.